La Prairie Skin Care – La Prairie Essence of Skin Caviar Eye Complex provides instant, visible firming and toning benefits. Minimizes the appearance of fine lines and puffiness. Fragrance-free. Ophthalmologist tested. Prolongs eye makeup wear. 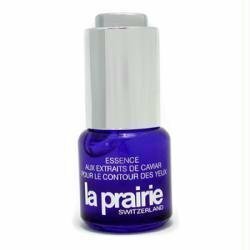 Purchase La Prairie La Prairie Essence Caviar Eye Complex–15ml/0.5oz Eye Care at Discounted Prices ✓ FREE DELIVERY possible on eligible purchases. La Prairie Skin Care - La Prairie Essence of Skin Caviar Eye Complex provides instant, visible firming and toning benefits. Minimizes the appearance of fine lines and puffiness. Fragrance-free. Ophthalmologist tested. Prolongs eye makeup wear.